No one loves The Catholic Women’s League the same way you do. No one gives to and takes from the League the same things that you do. It’s a very personal relationship, one to be respected and nurtured in your councils. This is the second most important thing I’ve learned while leading our members. The most important is to pray about everything and pray together. Our tiny group is resilient and mighty, full of gifts and full of spirit. We’ve had so much help from our Provincial and National Councils in trying to resolve our ‘status’. Are we a Parish Council, or a Diocesan Council? We simply don’t have enough people to fill all these positions. Our champion, Pat Deppiesse never gave up, guided us, ensured we were eligible for all the benefits that come from the League, and we’re so happy to tell you that it’s finally resolved, just yesterday, and we can move on. We are the Sacred Heart Whitehorse Diocesan Council. 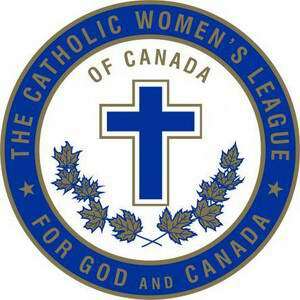 We’ve always wanted to be part of the Catholic Women’s League. Our situation is unique, geographically and numerically. We were determined to keep the CWL going. We have a long history here. Do we owe it to the women who came before? I think it’s more like we owe it to ourselves. Much of what we do here involves hospitality, but think of Christ’s miracles. Many came from just that. We are often called on for funerals and special celebrations and it’s good to be counted on. Through our service to our parish we are getting to know our fresh new Bishop and our priests. Just a few months ago, Father Slawek called us the Ladies of the Light. What a difference a consonant makes! We have never written a resolution, but we do have a member, a young mother completely involved with her growing family, who recently revealed she has a head full of them! Her time will come. We support the resolutions with letter-writing, signing petitions, and talking. What we learn from the League is not for our ears only. Just recently, our 12 Hours of Prayer Vigil opened up many conversations with attendees who aren’t aware of what is happening in our hospitals and care homes. Younger people don’t think about what kind of care they’ll get when they’re sick or dying or just old and wearing out. There’s a great chasm between the assumption and the reality in our country. It’s our job to spread the word. We participate and often lead all the usual events, the World Day of Prayer, the Walk for Life, The Palliative Care Vigil. We are involved in all the Liturgical ministries. One of our members started Yukon Cares for refugees, vital in our community. We are keeping up! My report is in the Convention Book. In the last few months we got two new members. You’ll be hearing more about one of them tomorrow. They know the League is the place to express and grow their faith with like-minded women. They know that the strategic planning that is underway will keep the League vital and relevant in a secular world. We love getting together for special occasions. We celebrated the Feast of Our Lady of Good Counsel with mass and a dinner. We did the same on Shrove Tuesday. We don’t usually socialize outside of CWL but we sure do under its’ umbrella. Mass and a meal: what a great way to strengthen our bonds. And we had to be tight this year. See these fingers? They represent how many active members we have. The convention is just beginning, but are you ok so far? We’re sure glad you came. We have many to thank for their help, especially Jenny Shaw and our Provincial Executive. We hope and pray your experience at convention this year will be uplifting, fulfilling and inspiring. By the way, don’t be afraid to put your hand up. Don’t make the poor old ladies get re recycled. Take your turn and marvel at the blessings. Give someone like me the chance to become a past president! Our Lady of the Yukon, pray for us!